To find out whether Santa thinks you’re naughty or nice, you’ll need to trick an elf into letting you see the list! Legend has it that the only way to find out if you’re on Santa’s naughty or nice list is to trick an elf into letting you sneak a peek! But be careful: elves are tricky themselves! To get a look at the list, you’ll need to be clever in crafting a distracting craft to catch the elf’s attention. So, grab some Christmas supplies like ribbons, twinkle lights, bows, and candy canes, and get prepared for your sly holiday visitor! On the nights leading up to Christmas, one of Santa’s elves will show up to keep watch on kids and to report on their naughty or nice behavior! However, if you’re careful and clever and quick, you can set up a beautiful little sleigh that will distract your elf, and then you’ll be sure to get a glimpse at Santa’s list! 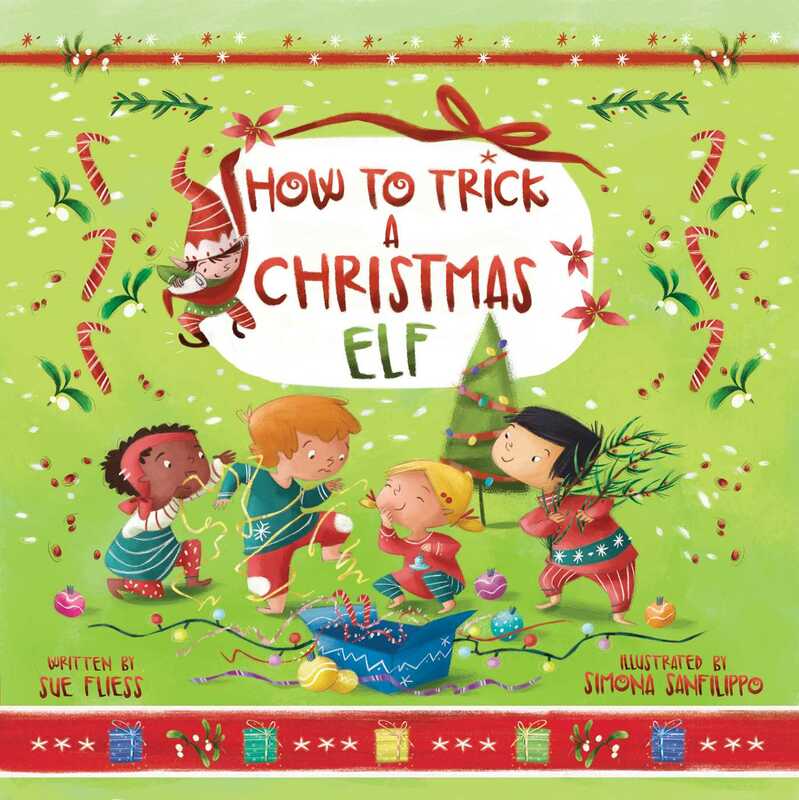 Sue Fliess’s poetic read-aloud text and Simona Sanfilippo’s vibrant, whimsical illustrations will provide much fun for young readers eager to trick their own Christmas elf and find which list they’re on! Also included are guides for teachers and parents about how to engage children in building an elf sleigh themselves and how to interest them in the history of the holiday and the many cultures that celebrate Santa’s tiny helpers.